Announcements: February Ruck next week, possible new AO at Fallen Timbers, Mid Month Murph coming to the Caddy Shack and after 21 months Colonel stepping down as Nantan and handing the reins to Klinger. Mission –Plant, grow and serve small workout groups for men for the invigoration of male community leadership. 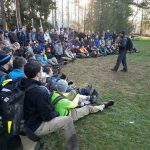 The “Thang”: Convergence Pre-Ruck 2-16-19 GET RIGHT (Q1) / Pre-Run. After COR, Woodstock, OZ and Hedgehog took off for their stroll through beautiful Sylvania. STATEMENT: Get Right: The Pursuit of proper personal alignment. •	A man must “Get Right” before he can do anything else. •	An unfit man is a slave to his lack of self-control. •	To be able to help others a man must first be able to help himself. Line up SYL & TOL PAX left side, PBG PAX right side. Adjust as needed. Rotations will initiate with 2nd in left side line taking the flag from the 1st in line and everyone moving forward once place and the 1st in lime moving to the back of the line. PAX will start with ice breaker questions, similar to “Knowing The Six”. -Birth name, age, F3 name and how you got it, who EH’d you, and what F3 means to you and why you continue to post. Final ice breaker question will rotate and be one of the following: Favorite movie, book, sports team, musical artist, restaurant/food. •	First 10-minute leg: Favorite movie and discuss: When was the moment or series of moments in your life when you knew you needed to “Get Right”? •	Second 10-minute leg: Favorite book and discuss: What are you doing currently to accelerate your fitness, fellowship, and faith? After question #2 we can upon and FNG (Luiz Baez) and YHC went through the Mission and Principles and integrated him into the ruck. •	Third 10-minute leg: Favorite sports team and discuss: Who are you “Getting Right” for? •	Fourth 10-minute leg: Favorite musical artist and discuss: What are your long term “Get Right” goals? •	Fifth 10-minute leg: Favorite restaurant/food and discuss: What can you do to help others “Get Right”? 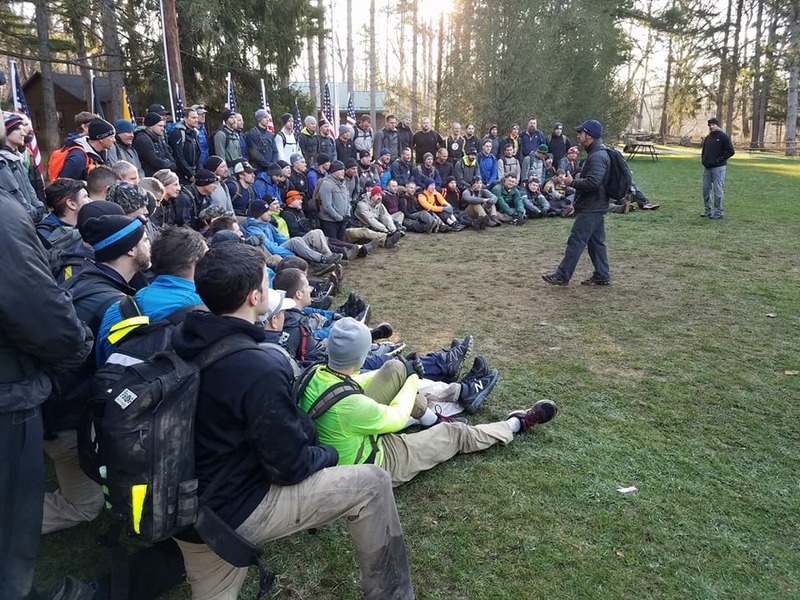 Ruck route: From parking lot through football stadium entrance, one loop around open field next to stadium, through back fence onto path to University Park Trail, out 25 minutes from start of ruck and back the same route with one lap around track. Sharing of the six – Gap. 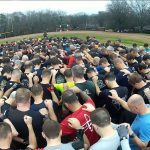 Ball of Man – Prayer of thanks for the great morning and the ability to rise and ruck. Prayers for a safe convergence with no injuries. Prayers for those PAX not with us or who haven’t been posting recently. Thankfulness for this group and making each other better. Spreadsheets from the Gloom: Temp: Mid 20’s. Low wind. Lots of great conversation was heard by YHC. 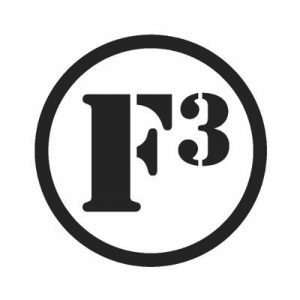 True to F3Toledo form, we picked up the six and left no man behind. Proud of this group of HIM’s and everyone desire to make each other better and “Get Right” in our fitness, fellowship and faith. 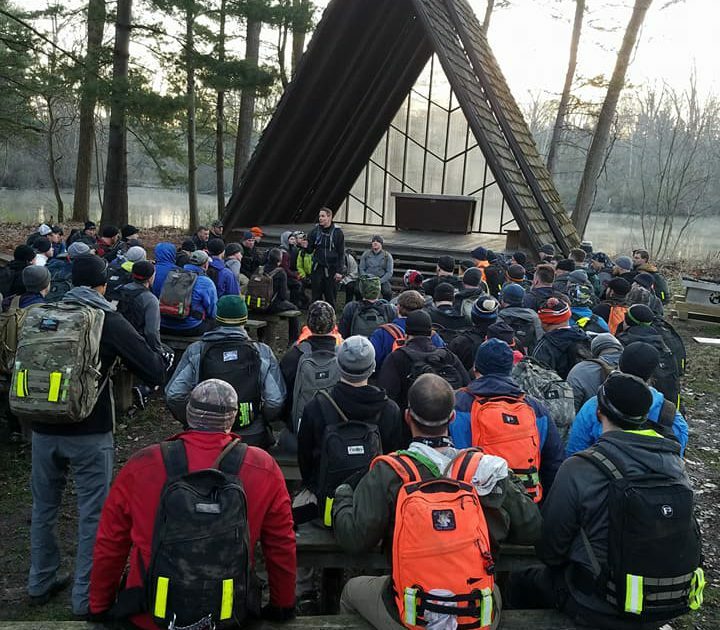 It was an honor to lead this QSource Convergence Ruck.